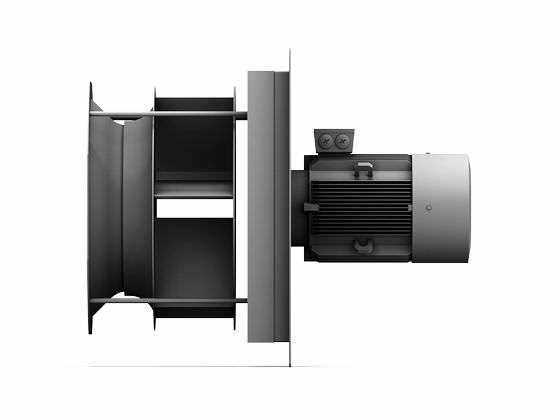 Up to 300,000 m³/h (5,000 m³/min) and 3,300 Pa. With direct or belt drive - frequency converter operation also possible. Impellers with blades bent backwards and made of steel or stainless steel. 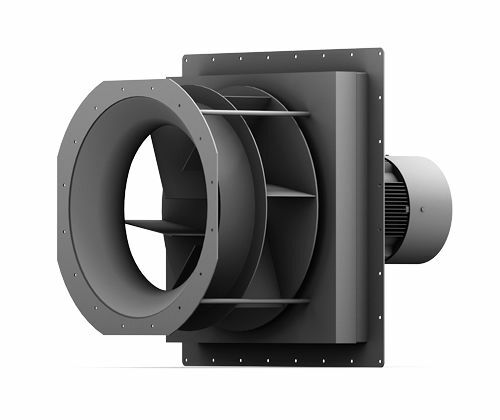 Fans of this type series are always configured specific to the project.